Ballerina to the Pointe's Blog | An inside look into a professional ballet dancer's world. An inside look into a professional ballet dancer's world. So, You Want to be a Ballet Dancer? I can hardly believe how quickly time has flown by! In two days I’ll begin teaching for the Miami City Ballet School Summer Intensive once again, and as always I can’t wait to meet a whole new group of eager young dancers. I know that there are many different intensive programs going throughout the country. For all those attending, no matter which program you may have chosen, I do hope that you will get the most out of your experience. I plan to keep everyone updated on how my summer is going, and what my students and I will be working on, and I hope that you will do the same! I invite all my readers to write in and share you’re summer dance experiences with me so that we can compare notes – and remember that your questions are always welcome! I can hardly believe it; after so much hard work (and what seemed a lifetime of patience), MCB’s tour to Paris is finally here! Tomorrow at this time we’ll all be on an Air France flight eagely awaiting our arrival in what is arguably the most romantic city as well as the world’s arts and culture capital. It won’t be all fun and games though – we’ve got a tough eighteen shows (fourteen different ballets) in twenty-three days ahead of us; but despite being anxious, I’m super excited to be dancing one of my all time favorite ballets on opening night of the festival – Jerome Robbins’ Afternoon of a Faun. I’m confident that we’re all ready to show them what we’re made of…just hope we all make it to the end in one piece! On Monday morning, a group of ten of us are headed to the world-renowned Paris Opera to take company class. That in and of itself will be an amazing and unforgettable experience! The Palais Garnier is without a doubt the most gorgeously ornate theater I have ever seen, and the company’s studios are located in the very same building. It will be a historic site seeing trip for us, as well as a great opportunity to get our bodies going before we rehearse on Tuesday at the Teatre du Chatelet. During our Parisian adventures, I’ll be blogging on miami.com to keep Miamians up to date on our happenings there. Keep and eye out for links to it here on my blog. It should be fun to stay up to date on how things are going for us there, and to see some photos as well! Au revoir et a bientot! C’est parti! It has recently been brought to my attention here on my blog that my book “So, You Want to be a Ballet Dancer?” has generated some negative responses on a reputable ballet discussion site, and I have been asked kindly to respond. I read the review and the accusations for myself, and after much consideration and some re-reading of my book’s text, I have decided that a response is indeed in order. I would first like to state, for the record, that I wrote this book with the utmost concern and best intentions at heart for ALL ballet students – regardless of race, ethnicity, nationality, gender, or affluence. I most certainly DO NOT believe that these things have anything to do with determining whether or not a child should or should not study ballet, nor do they determine if he or she will be successful. I did not come from an especially “affluent” family myself, and I never felt that was an issue one way or another. Did I have to work hard to earn scholarships? Yes. Did I have to harden and re-harden the same pair of pointe shoes to make them last? Also, yes. Did I have to recycle tights to use as warmers? Again, yes….hence the tips on how to do these things in the book! I neglected to give advice on scholarships, because they vary tremendously from school to school; perhaps I took it for granted that people know these programs are available. In retrospect, I think I should have mentioned it. It is irresponsible, and just plain incorrect though to allow kids and parents (at least in the USA) to believe that ballet is an inexpensive hobby. It absolutely can be VERY costly, taking into consideration lessons and shoes for a serious student (nevermind costumes for recitals – an entirely different monster!). Does that mean that only the rich can pursue it? ABSOLUTELY NOT! Teachers are oftentimes willing to give scholarships to talented kids, as most of us in the ballet world know. As for the shoes, they cost what they cost – I can’t change that, but I did open up honestly about all of the methods that I’ve used in the past to prolong their lifespan, as well as the method that I use now. As I also state, it takes time and experimenting to find out which method works best for each individual. Now, for the issue of race. I honestly can not find anywhere in the book’s text where I make any mention of the makeup and tools being for light-skinned girls only. All of the makeup listed is essential for ALL dancers, regardless of skin color. I clearly mentioned you’ll need TWO types of foundation – one skin color (which of course will vary with the color of one’s own skin), and white. I explain that the white is primarily for ballets such as Giselle and Swan Lake – most professional companies WILL request that the dancers pancake their skin a light coat of white for the look of the character; as in the case of Giselle, the look of being dead. As other professionals could tell you, this holds true for dancers of any skin color. All of the other makeup essentials listed are generic and staple items in any and every dancer’s kit. I also mentioned not to get sunburned – not because dark skin is any less appealing, but because (as I clearly state) the red undertone of burned skin in combination with light makeup gives off a purplish hue under blue toned stage lighting. The last issue I will address is that of the chapter on nutrition. I did not credit or specifically quote a nutritionist, though I am now beginning to think that maybe I should have. The information that I provided is specifically listed as a “Tip” as is any other “Tip” in the book. These may not work for everybody. It is, however, warranted information that I received for myself from a consultation with a nutritionist while I was in ballet school (SAB) years ago, and have adhered to over the years under the guidance of licensed sports/dance authorities. I was repeatedly told in school that I need to lose a few pounds, but like many others – I didn’t know how. I just knew that I didn’t want to go down the anorexic or bullemic routes that I watched quite a few fellow classmates go down. My problem? Like many other students, I was eating the wrong foods! I specifically state that dancer’s should create a healthy “EATING” plan, not a “DIET” plan for their goals under the advice and supervision of a professional nutritionist or doctor. I am neither of these, nor do I pretend to be. The “Sample Menu” is merely an example of what I and colleagues of mine may eat during a typical working day. I hope that those who have issue, and those have responded to the negative criticism will read this and keep it in mind. I also hope that those who haven’t read the book will read it for themselves and form their own opinions. All I ask is that it be read carefully, without personal interpretation of what I may be insinuating. I encourage parents to read it alongside their children, as they would any other “advice” book or magazine column, and see that the tips given are heeded in a responsible way. Please do not forget, that I have written this partially as a memoir, and it is primarily based on my own experiences. I am open and honest about that fact. I encourage all students to pursue ballet, if that is what they love. Can they all be professionals? Sadly, no. I think though, that I expressed in the book how beautiful my career has been, and how grateful I am to have had all of the opportunities that I did. It is most definitely a career that I would recommend to anyone who loves it and thinks they have what it takes to be a professional. Well folks, after just about two years of hard work and anticipation, my ebook “So, You Want to be a Ballet Dancer?” is finally published (by Diversion Books) and up for sale!!!! A faint odor was beginning to consume the air, stinging the noses of all of the girls in the SAB residence hall that afternoon. It grew stronger as the minutes passed, and when we finally went out into the hall to find out where it was coming from, we saw smoke beginning to emerge from the cracks under the kitchen door. My stomach sank as I realized that it was MY pair of pointe shoes that had caught fire in the oven! ……. Kronenberg, Jennifer (2011). So, You Want To Be a Ballet Dancer? (Kindle Locations 339-344). Diversion Books. Kindle Edition. I truly enjoyed writing this book, and I hope that you will enjoy reading it just as much. I’d love to begin Q&A discussions with any readers that have questions pertaining to the book. Inquiries can be posted to me here directly, or on my author page on amazon.com under the discussion section, and I will respond ASAP. I look forward to answering as much as I can! 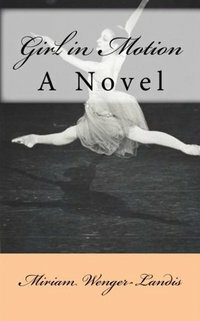 I am eagerly anticipating the release of my ebook “So, You Want to be a Ballet Dancer?”! I am hoping it will be out by the end of this month or early March. Just adding the final touches… I’m so excited! As always, I encourage anyone who has any particular questions, comments, or issues they’d like addressed to post them here on my blog, and I will be happy to respond! An old friend, and ex-colleague, of mine who used to dance at MCB has just published a book!!! I remember her always talking about that being a dream of hers, and she has made it happen. I’m so proud, and very inspired… It’s a novel targeted to young dancers…check it out! For all of last month, the dancers of Miami City Ballet worked diligently with Stuttgart Ballet choreologist Jane Bourne on John Cranko’s Romeo and Juliet. Cranko’s take on the infamous love tragedy combines just the right servings of technique, pizazz, musicality, a bit of comedy and of course…DRAMA. As one of the more, ahhemm… shall we say, “experienced” dancers in the company, it has been an especially fun journey for me to revisit the emotional mindset of a fourteen year old girl. (Intersestingly enough, I am also learning Lady Capulet; Juliet’s mother. Switching from role to role, often in the same day, has been quite a trip!). Luckily, my Romeo is none other than my husband Carlos….so at least the butterflies in my tummy are there for real, and rediscovering them in each rehearsal has been especially nice! It’s hard to imagine though, how I would have felt at fourteen if it were arranged by my parents that I be married to someone that I barely knew, and then discovered another; the love of my life, just hours later. When I was that young, I still blushed at just the thought of kissing a boy! The nicest thing that I find in the Cranko version is that he keeps in mind that Juliet, especially, is young and really quite naive. She begins the ballet playing child-like tricks on her Nurse, then is so overwhelmed at attending her first “grown-up” ball that she can hardly concentrate on dancing with Paris, her suitor. Time starts moving almost in slow motion when Romeo finally approaches her, and when she notices that people are watching them, she shyly runs away. During the balcony pas de deux, she’s kissed for the first time… but instead of the usual, overly passionate kiss, the one found in this version is quite pure, tender and innocently ravishing. She is so ecstatic with rapture that she almost begins to giggle and faint out of sheer bewilderment! I also appreciate that there is a distinct difference in feeling and maturity between the balcony and bedroom pas de deux, allowing for Juliet’s growth and evolution throughout the ballet. Though circumstances force her to mature incredibly by the end of the ballet, she really still is a young girl deep down, and Cranko keeps reminding us of this through her little tantrums, fits of despair, and constant urges to be held and comforted. I am so looking forward to discovering more and more nuances; in the choreography, the score, and most of all in Juliet’s character. At first I was disappointed that we’d have to wait until March to perform it, but the more I think about it , the happier I am to have time to leisurely build a rapport with the ballet. I’ll have the opportunity to take all of the wonderful information that I’ve been given, and really digest and process it before getting out there in front of an audience. Having that time is a luxury that we dancers don’t always have, especially with MCB’s hectic schedule. It will surely be a refreshing change, and I hope that ultimately, it really will make a difference in the depth of the final product…the performances.